A radiator leak is a fairly serious problem to have with any vehicle. While it might be tempting to just keep adding coolant to the top-up line and continue driving, your car or truck’s cooling system has one of the most important jobs under the hood, and an issue like this one can’t be ignored for long. 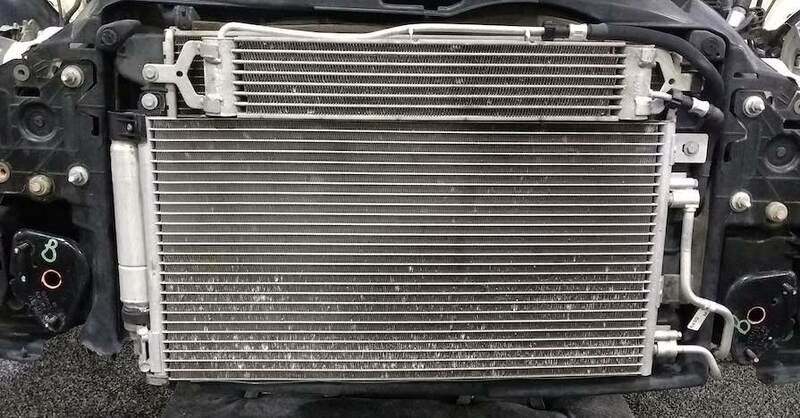 Rather than running the risk of suffering a more catastrophic failure that could leave you stranded, let’s take a look at the three signs that the leak is indeed coming from your radiator, and examine at how you can best deal with the issue until you have time to visit a trusted mechanic for a repair. 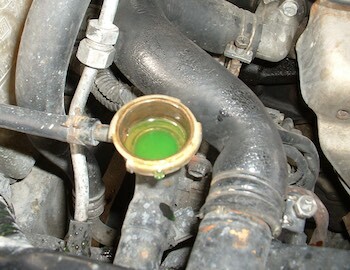 The most obvious sign of a radiator leak is a puddle of antifreeze underneath the car. Of course, not all puddles indicate a coolant problem, and not all coolant pooling is related to the radiator itself. Take a close look at the puddle. If it’s got a green, yellow or blue tinge, it’s most likely coolant, but you can double check by seeing if it feels greasy on your fingers. 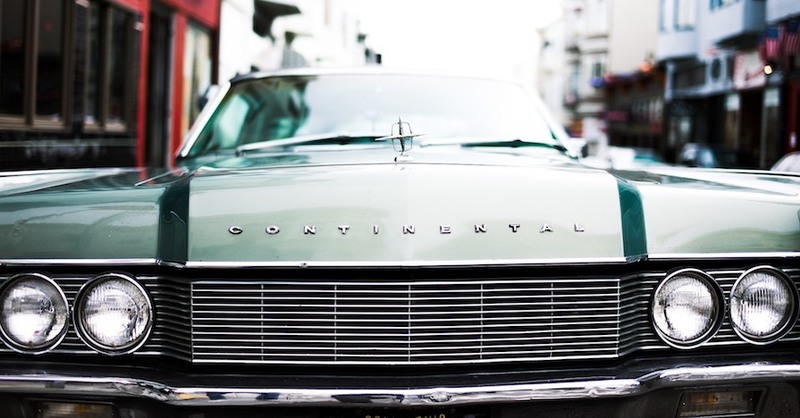 Coolant also often has a sweet smell, which is another strong indicator that you’re not dealing with simple water condensation from your air conditioning system. Your vehicle’s cooling system is composed of a number of hoses and clamps that could all be the source of the puddle you’re seeing on the ground, so the next step is to try to locate where the drip is coming from. 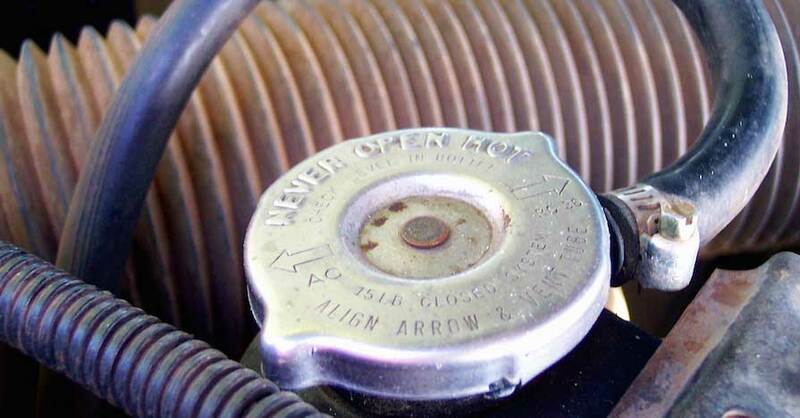 Typically, a radiator leak starts within the cooling fins themselves, along any plastic or welded seam, at the filler neck/spout or at the bottom where the drain petcock can be found. With the vehicle’s engine off and cool, check each of these areas to see if they are wet, dripping or showing any signs of having been wet in the past. 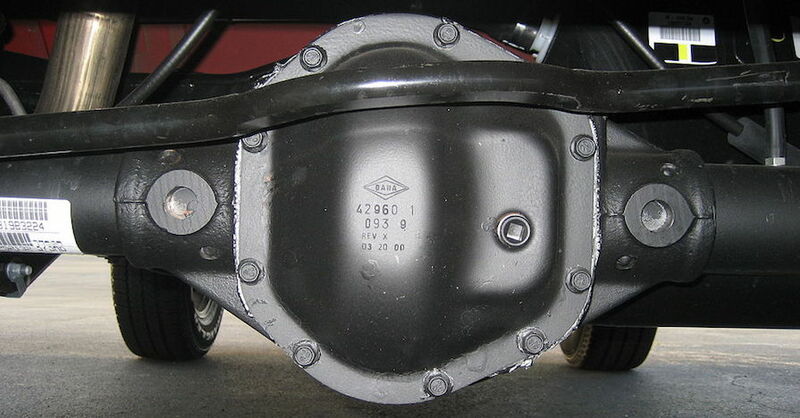 Sometimes, you might be dealing with a leak that only occurs when the engine is hot and the system is pressurized. In this case, you’ll need to do the same inspection as above, but with the vehicle warmed up to its operating temperature. Be sure to take the necessary precautionary methods and wear safety glasses when doing this, because a pressurized leak can squirt or spray out of the radiator unexpectedly. Be careful not to come into contact with any hot parts of your car. There are a few options to keep your leaky radiator running long enough to get to the shop for a real repair. 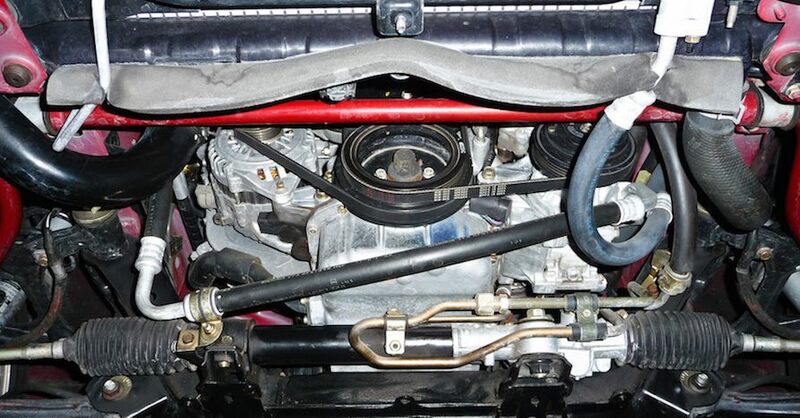 Some antifreeze manufacturers offer a stop leak product that you can pour directly into your cooling system, which works to gum up any existing holes temporarily. Think of this as a last resort, because once that fluid is in your system you’re going to want to completely flush it and remove it after a more permanent repair has been done. You may also be able to fix a radiator leak with a commercial epoxy, but the radiator will have to be cool and empty for this to have the best chance of working. If you’re feeling ultra-handy, a brass, copper or aluminum radiator can also be welded to fix a leak. If you notice a radiator leak and you’re in a tough situation, using a temporary fix may be the best solution to get you back on the road and to a professional shop. Getting a permanent fix as soon as possible, though, is crucial as it will ensure that a leak doesn’t happen again in the future and that your vehicle continues to run smoothly. Check out all the heating and cooling products available on NAPA Online or trust one of our 16,000 NAPA AutoCare locations for routine maintenance and repairs. For more information on the effect of a radiator leak, chat with a knowledgeable expert at your local NAPA AUTO PARTS store.